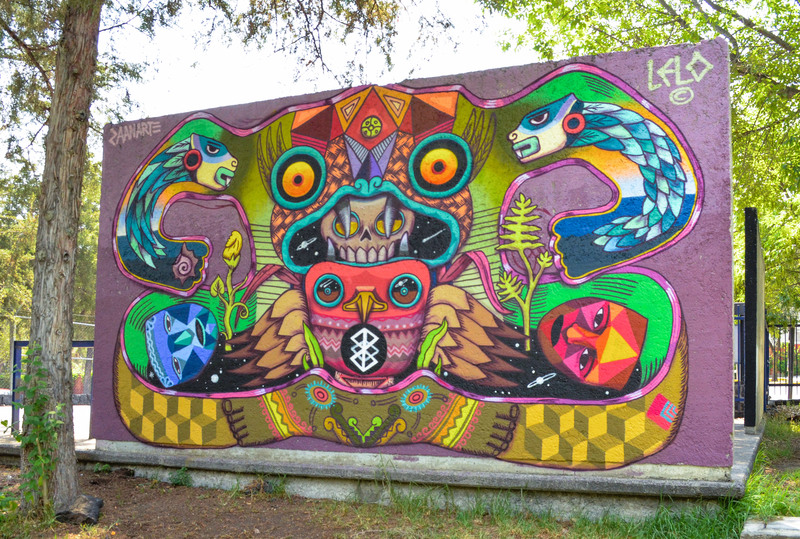 It has been a while since last coverage on Urban Art Festival Constructo, but this time they are back with great artist line-up and location – the festival definitely had no shortage of action or colour. 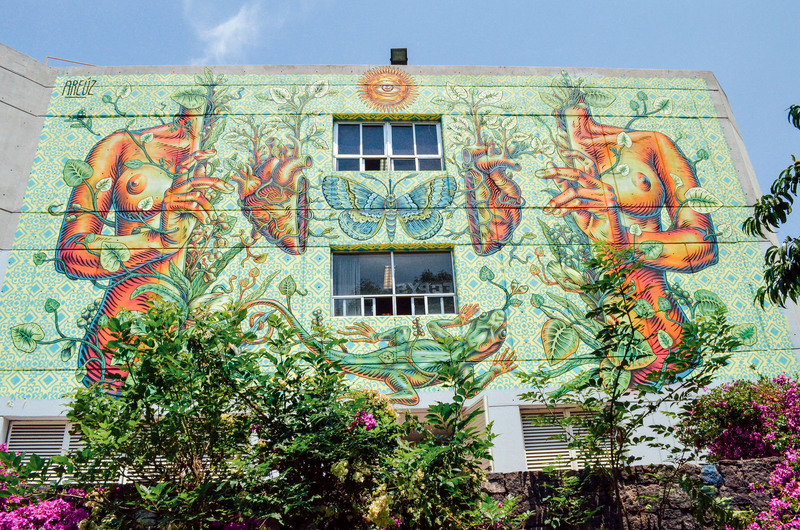 Constructo festival has the mission of spreading the art on a large scale with only positive proposals, which serve as a motor to generate awareness, giving rise to the reflection and appreciation of artistic works within the reach of all, in spaces open to the public. 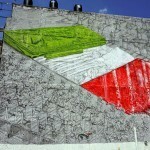 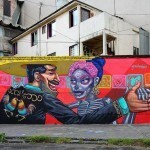 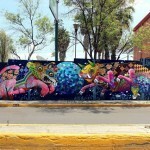 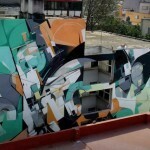 The festival is committed to the diffusion of urban art in Mexico and Latin America. 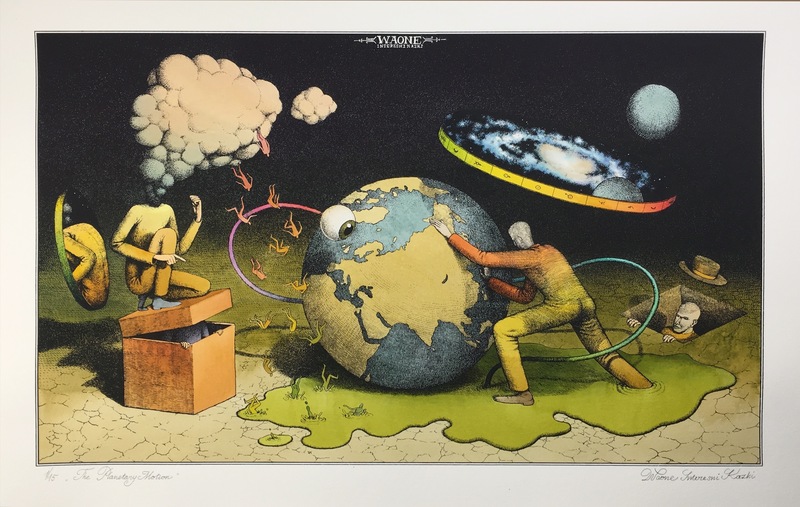 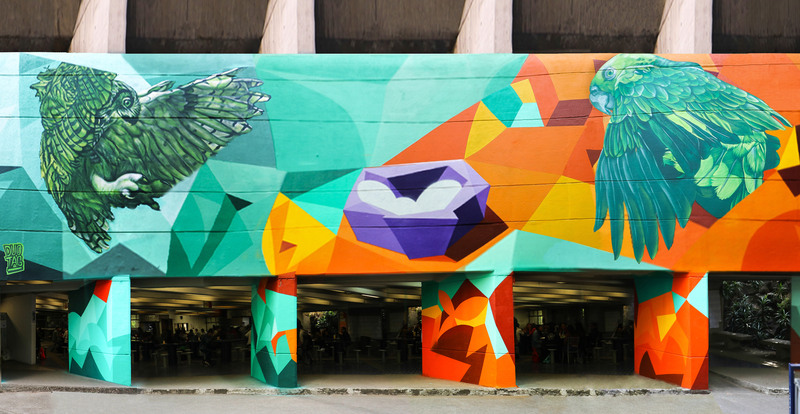 In each of our editions we have counted on national and international urban artists (Argentina, Brazil, Chile, Puerto Rico, Spain, Canada, etc). 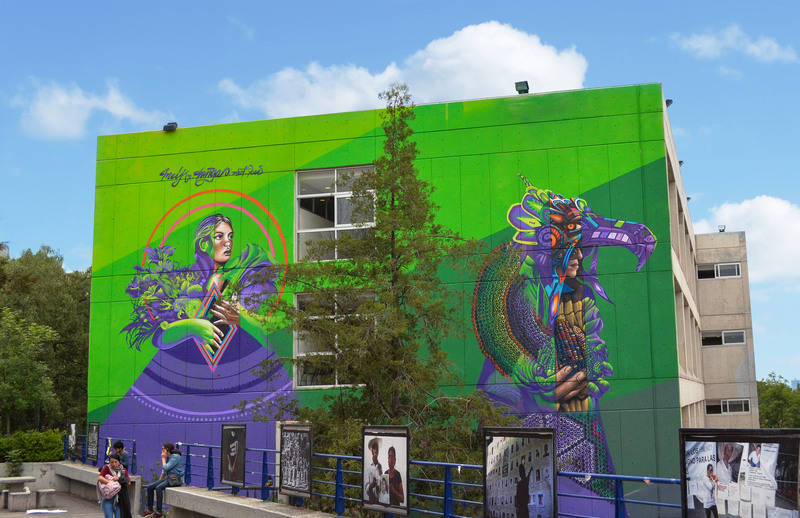 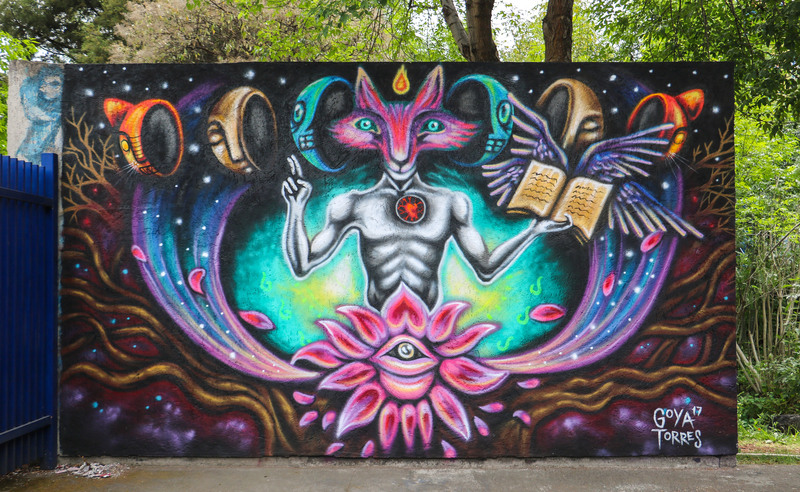 This year all 11 murals were done in the National Autonomous University of Mexico (UNAM) in the Faculty of Political and Social Sciences. 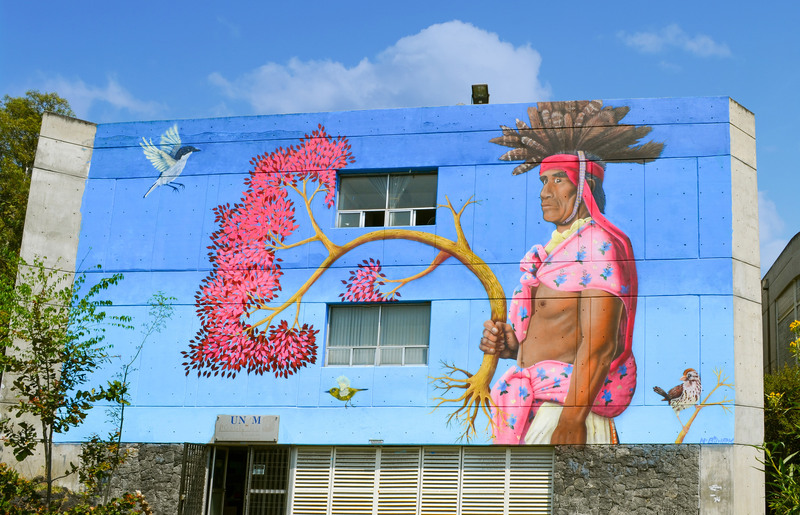 All murals were of the authorship of Mexican artists. 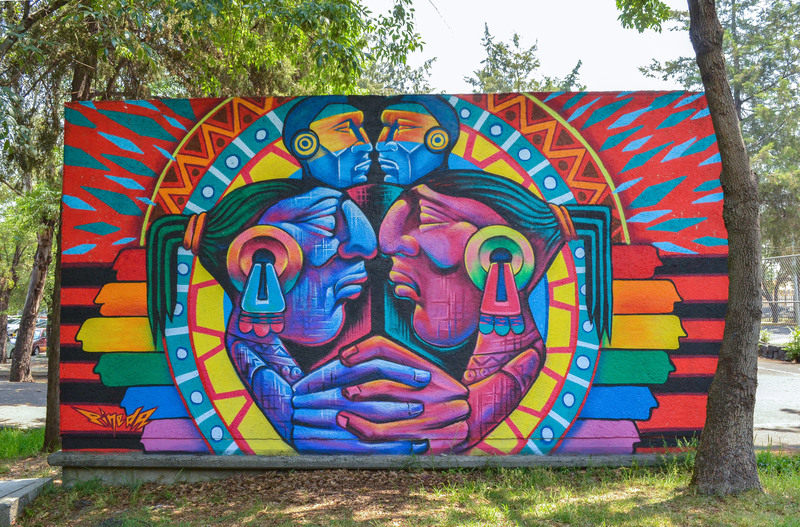 The murals themes such as: Gender equity, environment and social co-responsibility, knowledge and social sciences, gender and sexual diversity. 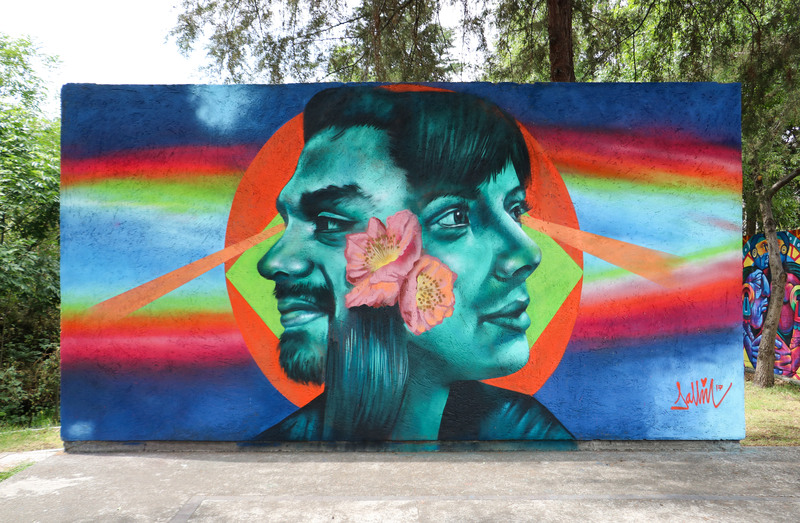 Participating artists this year: Areúz (Mexico City); Paola Delfín (Mexico City); Hidroc (Mexico City); Bimek (Mexico City); Fredy (Mexico City); Janín Nuz (San Luis Potosí); DuoTag (Tamaulipas); Lelo (Oaxaca); Goya Torres (Veracruz); Meik (Querétaro); Chunga (Aguascalientes). 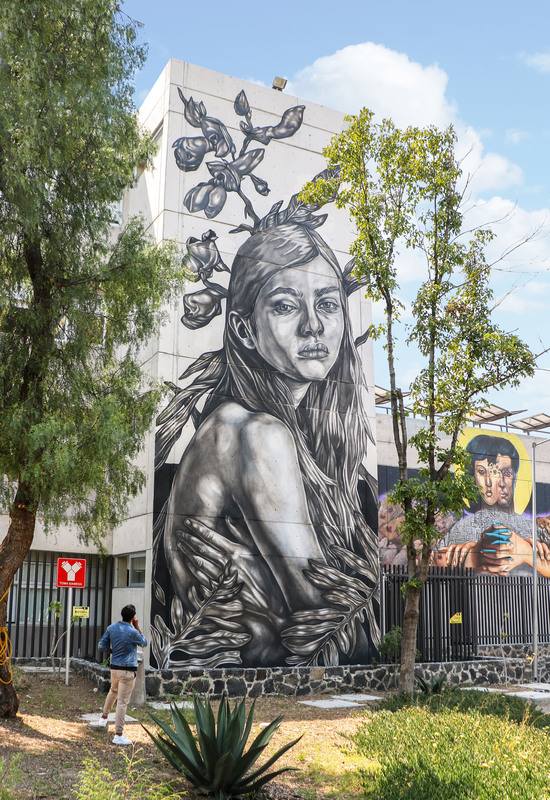 Access to the Faculty of Political and Social Sciences of the UNAM is open to the public, so the artworks can be visited by anyone. 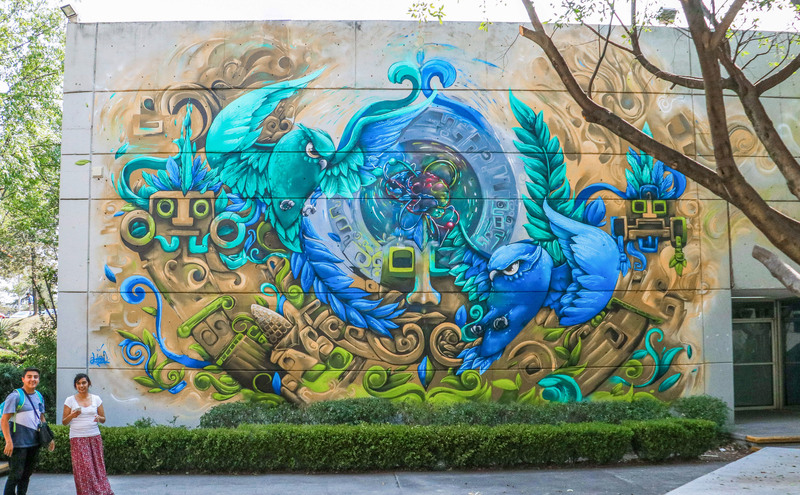 Take a look below at more images from the festival and check back with us shortly to discover more fresh updates from North America.